An international conductor as you’ve never seen him before! 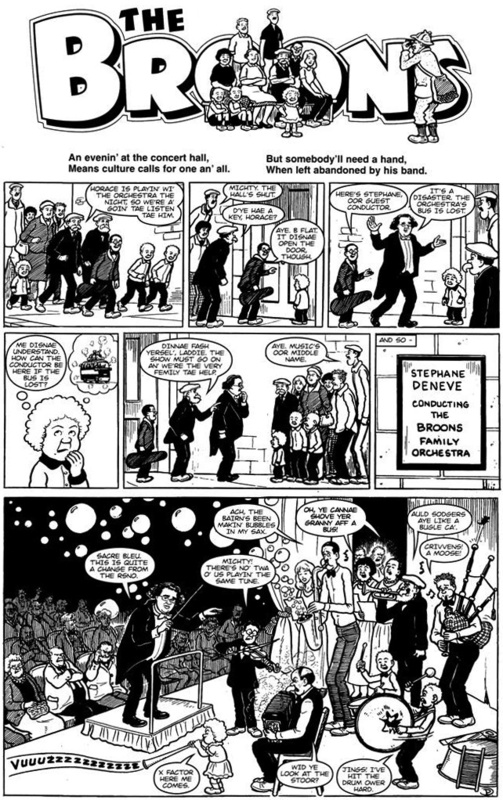 Stéphane Denève is now such a popular figure in Scotland that he has achieved cult status by being immortalised in The Broons – a comic strip in the Sunday Post newspaper. It is hard to explain The Broons – and its popularity – to an international audience. And, because it is written in the Scots vernacular, you might need some translation! Needless to say, nearly every Scot will have fond memories of reading the comic, either in the newspaper or in its ‘annual’ form – a book that many Scottish children receive as a Christmas present each year. Here’s what Wikipedia says about The Broons. What is even more fantastic is that this isn’t even the first time Stéphane has been made into a cartoon! 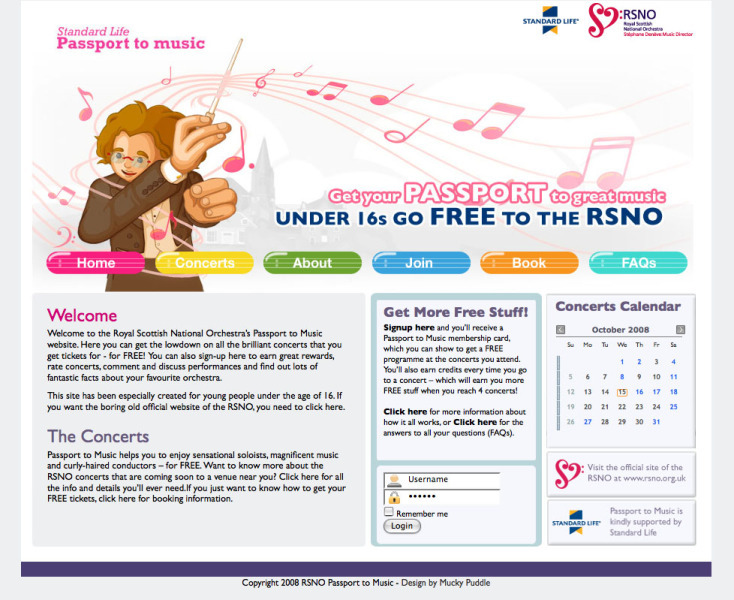 A few years ago the RSNO produced a cartoon character to promote its free tickets for Under 16s. Now, does this look like anyone you know?